A Primary School and center for community, creating change in one of Nairobi's most notorious slums. 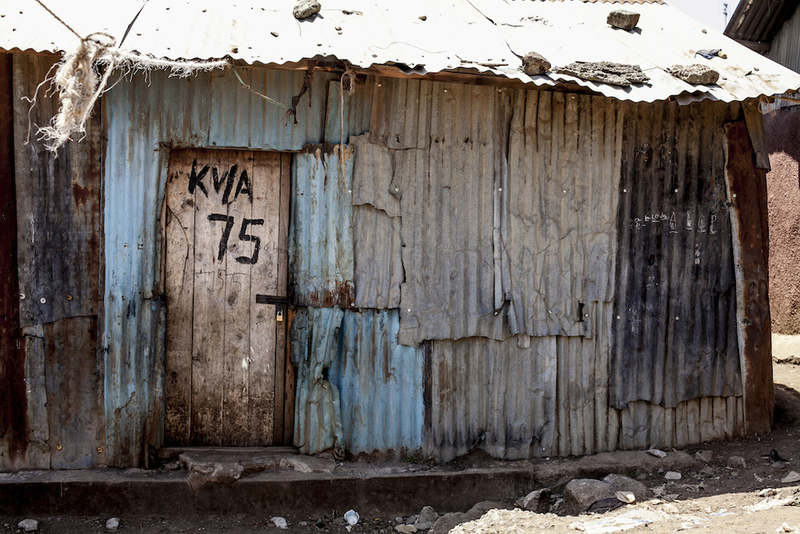 THE KITUI NDOGO SLUM, home to an estimated 50,000 residents, many of who survive on less than $1 USD/day, is situated 15-minutes to the east of Nairobi's bustling city center in the gritty and dangerous Eastleigh district that floats in and out of the “no go” zone for tourists. The slum is located opposite a contrasted middle-class housing complex, footsteps from the towering Masjid Noor—a mosque rumored to be a recruiting center for the Somali-based al-Shabaab militant group. 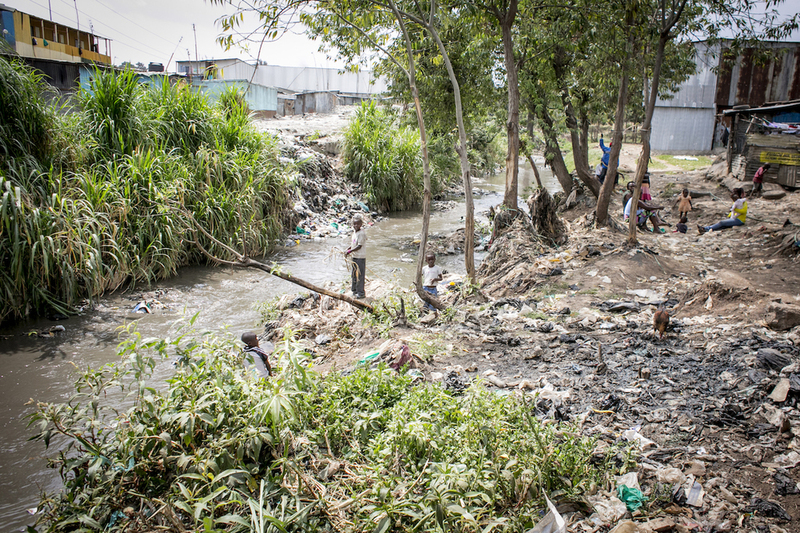 A highly polluted Nairobi river, doubling as waste dumping site, flows through this densely populated maze of crudely constructed, dilapidated structures mostly fashioned out of corrugated iron sheets and mud. Nairobi river flows through Kitui Ndogo. Life is harsh in Kitui, as the area is plagued by crime, violence, prostitution, as well as drug and alcohol abuse—and there is little hope of relief in sight. Less than a handful of NGOs work in the slum due to its hazardous sanitation problems, security issues, and its relatively small size (it competes for attention with Nairobi's infamous Kibera slum, where thousands of NGOs operate). It is likewise neglected by the local government administration, which does not have the resources nor willpower to address the numerous, complex challenges facing residents of this community. The question is best answered through the story of Kitui Ndogo community organizer, Teacher Grace Kavoi. Historically, children growing up in the slum have not been able to go to school, as 100% free schooling is not yet provided by the Kenyan government. Since parents can't afford private school fees and often haven't been educated themselves (and, understandably, don't fully grasp the value of an education), the vast majority of kids sit outside all day unattended. Their all too likely fate is to succumb to the negative influence of the environment and repeat the cycle of poverty. In 1998, following an inner call to be of service to these vulnerable children, Teacher Grace offered a free daycare program in her one-room shanty, with the idea to lovingly teach the basics of education to any child from the Kitui community who wished to come. Grace began with two students and, after personal awareness-building campaigns and word quickly spreading in the community about her sincere energy and enthusiasm, enough students enrolled to necessitate a dedicated space for the Malezi experiment. As more time passed, Grace’s daycare program naturally evolved into a makeshift Primary School experience, where she taught the official Kenyan curriculum and abided by the norms of the academic school year. The stories of impact and change Teacher Grace — true to her name — is responsible for, are too many to count. She has inspired many of her students to pursue their education, which has resulted in some even entering into college. More than that, she teaches the importance of a moral, responsible life and has altered the courses of lives headed for gangs, crime, and prostitution—creating a number of community volunteers and change agents who are following in her footsteps. Additionally, Grace's sacrifice, dedication, and love for her community has had the effect of motivating parents and fellow community members alike to participate more meaningfully in their personal and civic lives. As a result, this one dynamic woman is helping to create change in an environment where you would not think it to be possible. By 2012, Grace’s school was overflowing with students and the 10’x10’ room she was renting, had run out of space. Mahtabe partnered with Malezi early that year to solve the overcrowding issue and, with Grace, dreamed of a large, two-story structure with enough rooms to seat 200 students across all the Primary School grades. Not wanting to rely on donations alone, we planned to purchase land to avoid paying rent, and decided to invest in a large water tank to sell clean water to the neighboring residents for income generating purposes (most of the students would not be able to afford much in the way of school fees, creating a challenge to sustainability). After a successful “friendraising” journey, the necessary funds were raised to build the reimagined school. On Christmas Eve of the same year, a groundbreaking ceremony was held on the purchased land, signaling the start of construction and a new chapter for the children and residents of the Kitui Ndogo slum. Malezi Centre 2.0 was officially inaugurated on 28 January 2014 in the presence of parents, students, community members and leaders, as well as representatives from the local government administration. Now, several years later, the school has a whopping 225 students enrolled, 9 full-time teachers, and has been certified by the government as an official Complementary School (a designation given to community-based schools that enables them to officially teach the Kenyan curriculum and graduate students). Due to Malezi’s popularity, the space was expanded again late in 2017 to accommodate additional students wishing to enroll and included the construction four additional classrooms. These are dreams, just a short while ago, that seemed impossible to realize. Hunger is a persistent challenge in Kitui Ndogo and among Malezi’s students, where many meet the World Bank’s definition of extreme poverty. It is not uncommon for students to eat only one meal per deal and it is not uncommon for them to, at times, go several days without eating when money dries up at home. As a result, the school has faced irregular attendance issues, lack of engagement in the classroom, as well as poor exam performance—not to mention a few medical emergencies. It has been clear since relaunch that offering lunch to the entire student body and faculty would be essential, in light of the fact that you can’t operate a school if your students and teachers are going hungry. It’s just that this dream has always seemed out of reach because providing a regular meal for over two hundred students is a relatively expensive undertaking, and there is no way to pass the costs on to the parents viz increased school fees. Enter the Pema Chödrön Foundation who, in 2018, graciously decided to support the annual cost of a healthy vegetarian meals program, including daily lunch, a light breakfast, as well as afternoon tea and snacks (just for the teachers). Malezi witnessed radical changes after launching the meals program. Attendance improved, engagement improved, as did exam performance. In addition, the launch of the program significantly boosted Malezi’s standing and credibility in the community, even attracting the County Education Commissioner to visit on separate occasions. Hunger at Malezi is now a thing of the past and it just goes to show what’s possible when care, love, and values are put at the center of any undertaking. A few months before the launch of the meals program — without knowledge that support for the program was imminent — Malezi purchased a small plot of land behind the school and started an urban farm, with the goal to grow vegetables and teach students lessons about agriculture and self-reliance. Malezi’s urban farm, filled with green vegetables. Little did we know at the time that the farm would be so successful that it could be used to provide all the vegetables for the school’s lunch program, and has done so consistently since the program started being offered. The story of Malezi Centre is a glowing example of how the cycle of poverty can be disrupted—without large amounts of resources. Education is one aspect to the story and also, importantly, through the heart and through shared humanity. For the latest news and updates about Malezi, you can join the Mahtabe email list below. If you are interested in supporting the center, click the donate button above. Or, be in touch to discuss specific projects or other ways to get involved, such as volunteering if you happen to be in Nairobi.